From All Hip Hop Rakim, one of the legends of Hip-Hop, has attributed the lack of balance and possible death on Hip-Hop to his hometown of New York. Rakim made the proclamation about New York in an interview with Jenny Boom Boom of Hot 93.7 in Hartford, Connecticut. 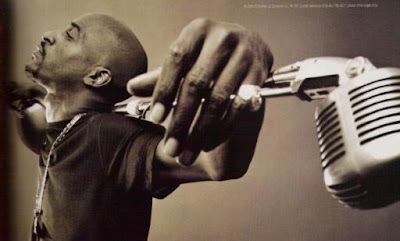 “There is a certain realm of Hip-Hop [that is missing] and you might have to blame that on New York,” Rakim said. “New York is responsible for bringing that raw, that real gritty Hip-Hop, because we originated it.” He said there was hope, if the region got back to the staple sound that hit its zenith in the 80’s and 90’s.